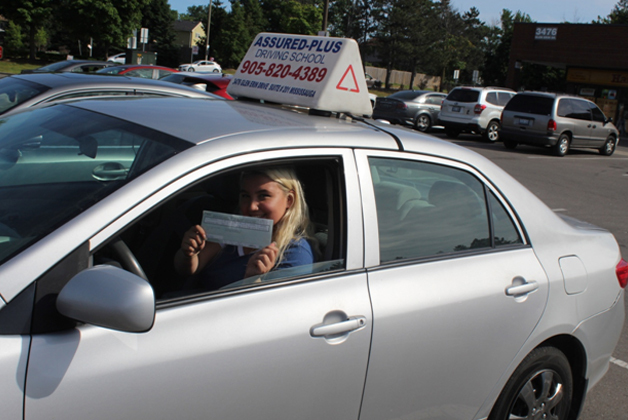 Assured Plus Driving School is a Ministry of Transportation Ontario approved Beginner Driver Education Course provider in Mississauga city. 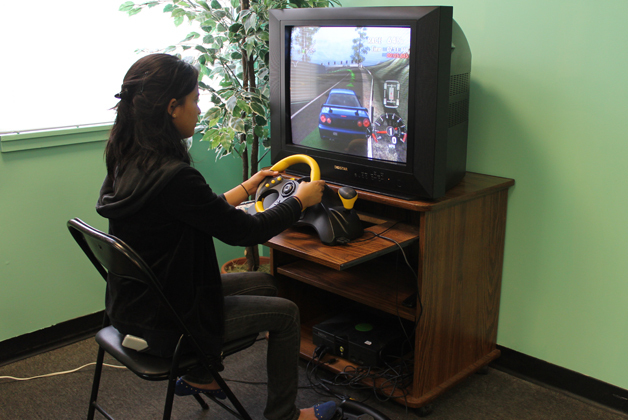 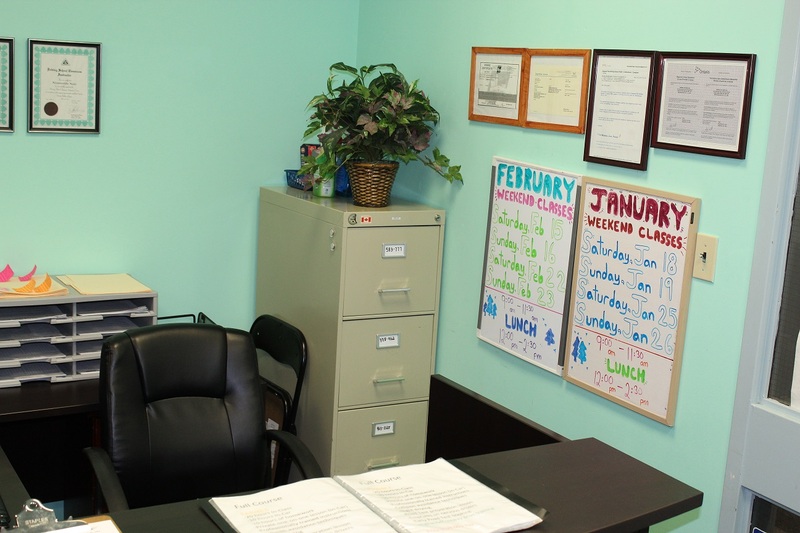 Our driving school offers mandatory 20 hours in class, 10 hours of in car lessons, and 10 hours of homework as well. 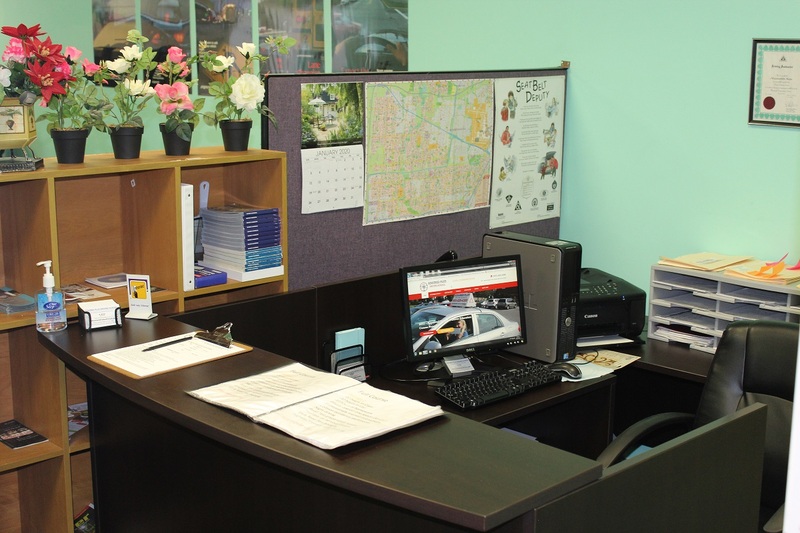 The Assured Plus Driving School has the best quality curriculum approved by the MTO; it includes a defensive driving program. 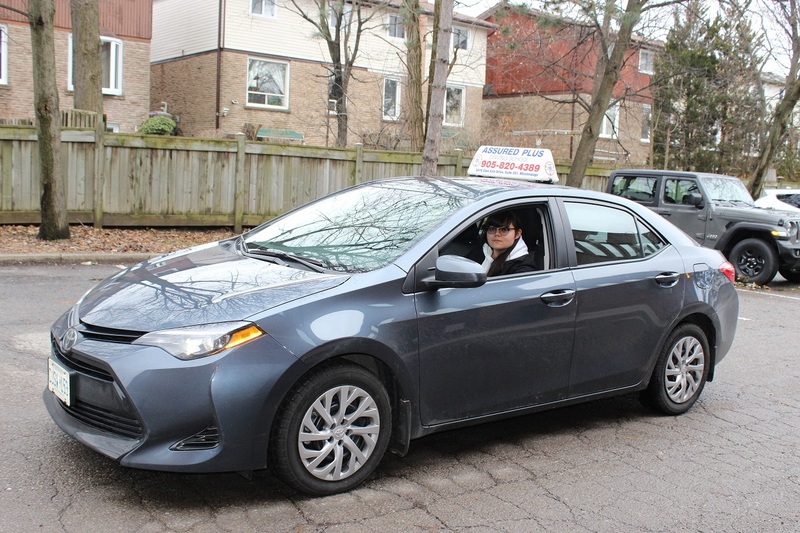 Our driving school curriculum is on the MTO list for other driving schools to be able to use in their driving courses. 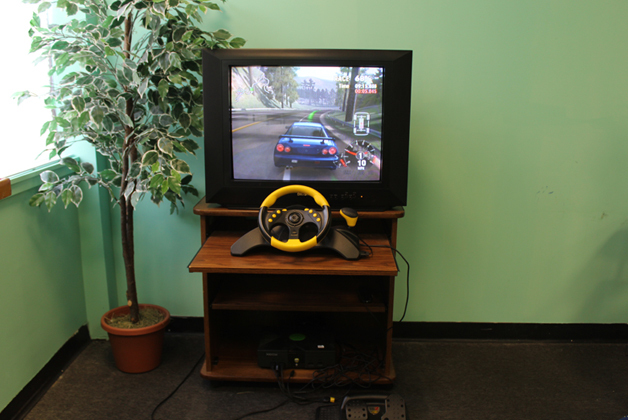 Assured Plus Driving School has a driving simulation in the office; all our students have access to unlimited and free practice. 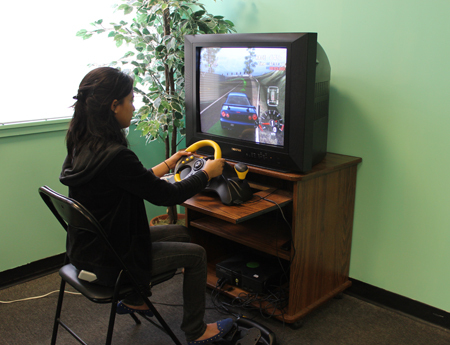 By practicing on this simulation, it allows students to improve their comfortability behind the wheel and driving skills. 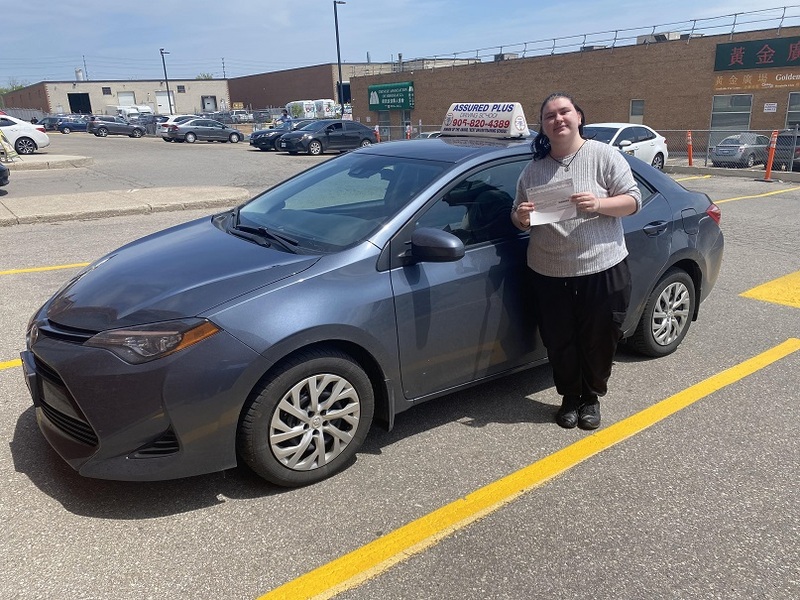 We are proud to say that Assured Plus Driving School has a high passing rate of 99% for our full course students who pass the road test on their first try! 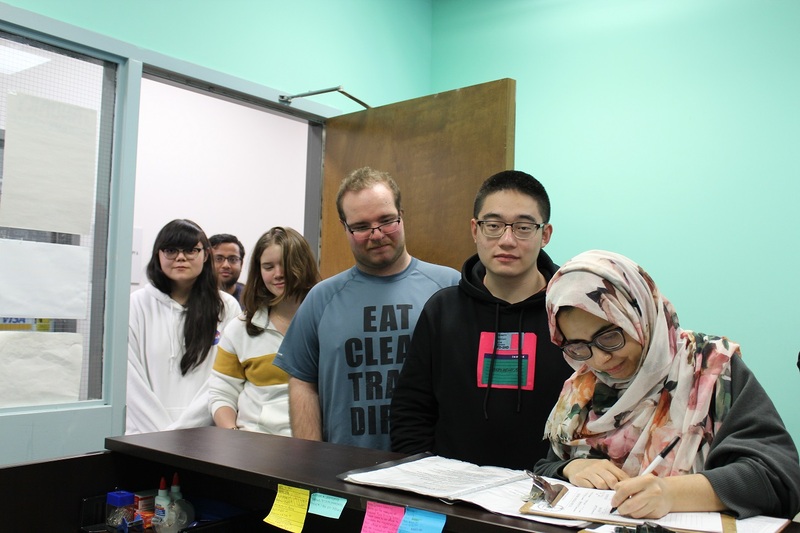 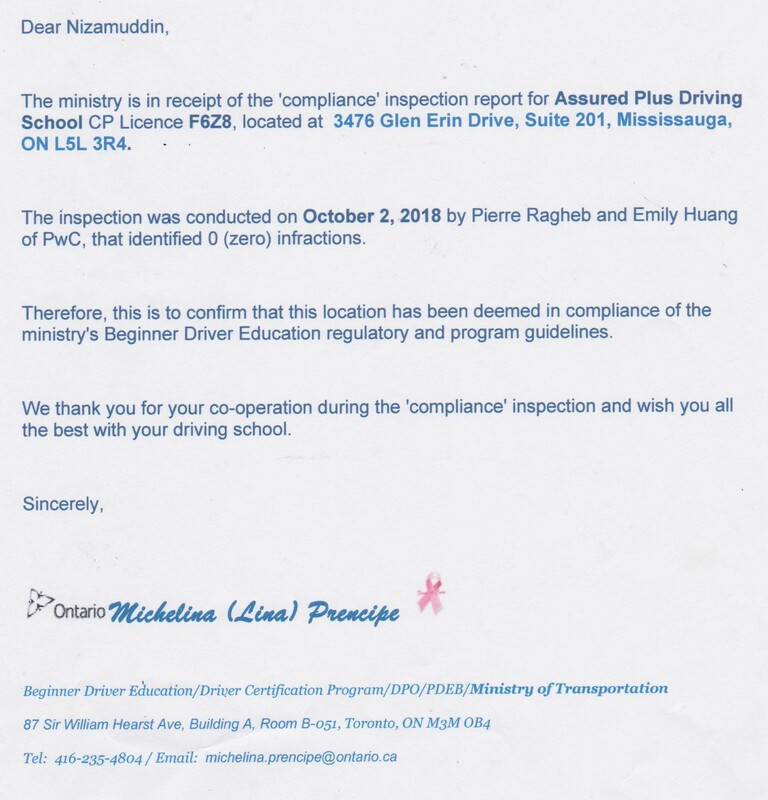 Assured Plus Driving School had an inspection by the Ministry of Transportation Ontario team on October 2, 2018. 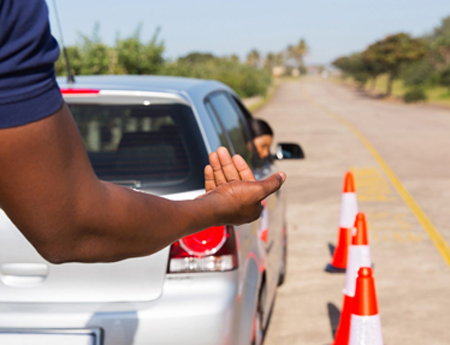 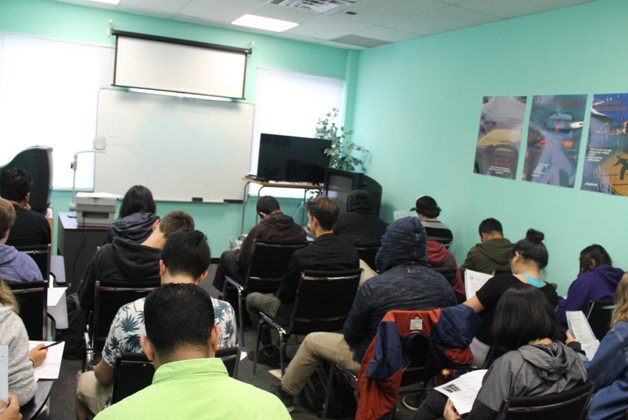 The MTO inspection result confirms that our driving school follows the Beginner Driver Education regulatory and program guidelines, and we provide the best service for all of our customers. 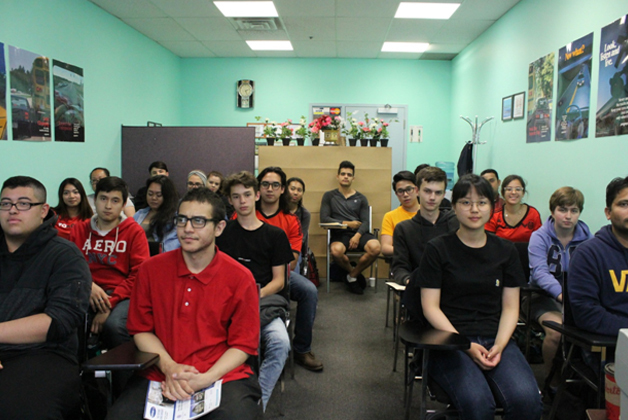 This program is designed to enable students to develop the necessary skills and attitude to become safe and responsible drivers.